Do you like the new Vantage 4 design? Vantage 4 has big cover images, they are slick but the user needs to upload quality, large images otherwise they will ruin your looks. 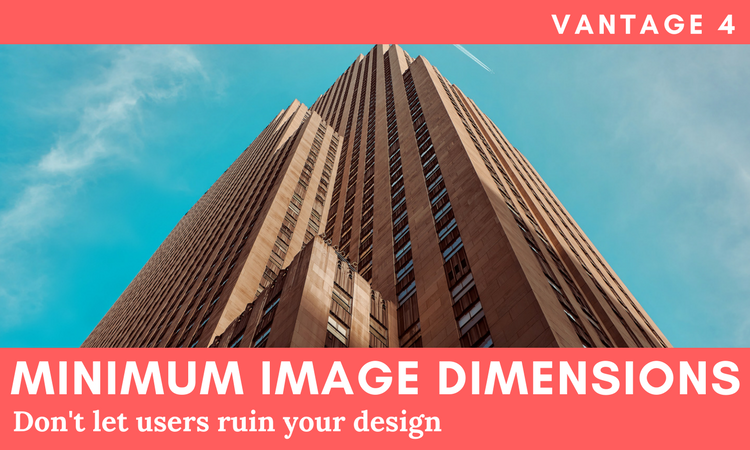 Minimum Image Dimensions plugin extends the Vantage 4 form builder, adding a new setting in the File Upload section allowing the admin to set the minimum requirements for image width / height in pixels. The front users will be required to upload images larger than the constraints that you set in Vantage 4 listing form. Why is user X able to upload smaller images than the constraints that I set? Minimum Image Dimensions Plugin for Vantage 4.x only restricts uploads from regular front-end users ( contributors ). Any other user rank will be able to upload smaller images. 3. Activate Minimum Dimensions Plugin. 5. Input the minimum width / height dimensions in pixels for user uploaded images. 6. Save the form and you’re DONE. Note: I do not provide support for custom development of the Plugin. I will generally answer such questions with guidance and even small code samples but do not expect me to do all your work. Robert, I built this plugin for Vantage a month ago because it uses the native WordPress Media Manager in the front-end and its easier to implement this feature. 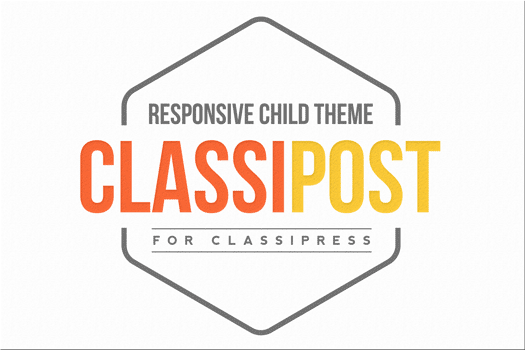 ClassiPress uses Plupload library and its not that easy to change its behavior. What version of Vantage are you using? There’s the old Vantage 3 (not supported) and Vantage 4 (should be working fine). Send me an email -> ovidiu at jibo.ro if you don’t get to the bottom of this. Will send you an email with more details. Hi there Ovidiu, I sent you an email with screenshots of the error messages a few days ago. Any news? The plugin is not working on my site. Sorry, didn’t see the email as it went to Spam for some reason. I’ll get back to you via email. Probably should have asked before I bought but will this plugin work with my Vantage 4.0.0 child theme? I have installed and activated the plugin but do not see any changes in the file upload section of the form. I’ve got this sorted out. For anyone else having this problem just go to Vantage Child Theme Stylesheet and change the version number to 4.0.0 or 4.1.1. 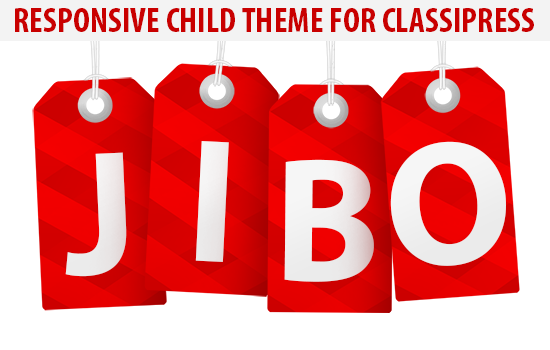 I did not test this with any child theme as there were none available at that moment. I’ll have a look at the version compare and see why it has failed. It was only supposed to block the old Vantage 3 version. Your video isn’t really that informative. Is this only for admins who populate the site themselves?. What if someone signs up and wishes to place their own ads, you have not shown it from the users / front end view. What do the results look like. Does this scale the large banner on the single ad listing?. Does it scale the thumbnail image on the Page listings?. If not. What is the point of this plugin? Did you actually watch the video from start to end? I logged out from admin and signed in as a test user trying to post a new listing while uploading a very small image. The limit I set in Vantage settings using this plugin has stopped the user from uploading images smaller than minimum 400px limit that I previously set as admin. That’s all it does, imposes a minimum image dimension on user submitted listings so they won’t ruin the looks of your site. Yeah I saw that but you still do not show the before and after in the video do you?. I mean to be honest. I clicked on your live demo too. The thumbnail pics looks ok. However click on the second ad and look at the banner. It looks terrible. Is that supposed to be how it looks without the plugin being used…? I installed this plug-in a few months back and it works well and does what’s expected. My problem is that I am worried about loosing potential customers who attempt to create a listing on my site while using a smart phone because the media-sidebar which displays the error message is just not visible on smaller screens. I do believe that it is important to impose minimum image dimensions when using Vantage but is there any way at all to display the error message to phone users? Hi there, just checked this and you’re right. The sidebar is hidden on mobile devices. You may be able to bring the error message in the user’s face with small CSS hack. Just put it into Appearance – Customizer – Additional CSS and let me know if this works the way you want it. 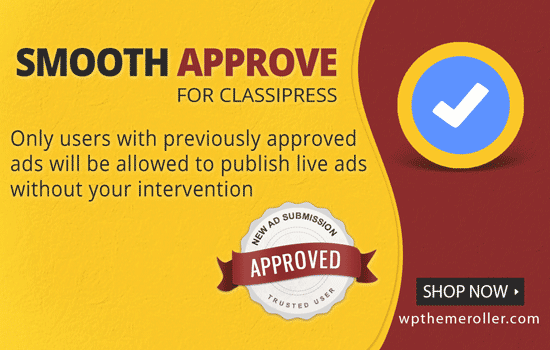 Enhances the default ClassiPress ad moderation feature.